Organizing fundraising activities can provide numerous benefits for both the organizer as well as the participants. There are plenty of reasons for generating income as there is a wide range of fundraising activities available. 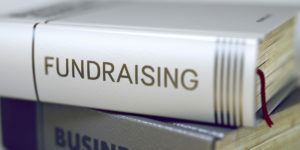 Here is a quick guide on how to organize fundraising activities. Carefully planning fundraising events is not an easy job at all. However, a clearly planned venture can ensure success as well as generation of the desired income. There are certain steps that you need to undertake that should be followed to the letter. The first step in conducting and planning a fundraising activity is to set clear goals and determine the recipients of the money. As much as possible, be specific with the individuals or organizations that you will raise funds for. For example, if your intention is to generate income for breast cancer, trim it down to breast cancer research in a certain location in the country or for the families of terminally ill victims of breast cancer. Once you have established your goals and the recipients of the proceeds, the next step is to determine the type of event. Activities such as car wash, pancake breakfast, or bake sale are excellent activities. Casino night or auction may require more planning, time and effort, or even capital. The most inexpensive method can be through letters asking for donations which can be distributed to families, friends, or acquaintances. The next step in organizing a fundraising event is to assemble a team of volunteers who might be willing to offer their talents, donations, or connections. Delegation of tasks is essential so you can set up committees or sub-committees for other tasks. You can set meetings for monitoring the progress of the event. Select a spokesperson or an honoree who is a member of your organization or cause as representative. In addition, pick a date for holding the event. Make sure that it will give you enough time to make preparations and is not in conjunction with a local or national event. Determine your budget so your operational costs can be at a minimum. Consider the expenses for each individual as well as the ticket price. In addition, you can request for seed money from businesses, stores, or corporations. Likewise, you can ask for their support in exchange for being listed in the souvenir program or advertisements. Prepare a letter presenting the nature of the gifts, cash value, or tax deductible information to be distributed to your prospective donors. Finding a location where the event will take place is a vital step in planning the activity. Scout for every possible venue for the event and be prepared to make an initial deposit. Likewise, determine the legality and your financial liabilities because your event could be subjected to taxes. Distribute invitations and prepare a program for people whom you want to be present during the occasion. Offer them a booklet that will create an opportunity for them to sell ads and acknowledge the help of sponsors. After the event, follow up with your sponsors by sending them thank you letters. You can add them to the mailing list of your organization. Compute your gross income and thank the various committees who provided valuable support to the success of the event. Following this simple guide on how to conduct fundraising activities can ensure a successful venture for generating the needed income for your organization.